ADI’s Needed, NO contract, Low weekly franchise. WE ARE OPEN 9am-7pm (Monday to Friday) and 10am-6pm (Saturday and Sunday) SO GIVE US A CALL NOW! WITH OUR INTENSIVE COURSE SPECIALISTS (FROM ONLY £252). We only use DSA Qualified Instructors on a 1-2-1 Basis (No Car Sharing). All of our vehicles are fully insured and dual controlled. 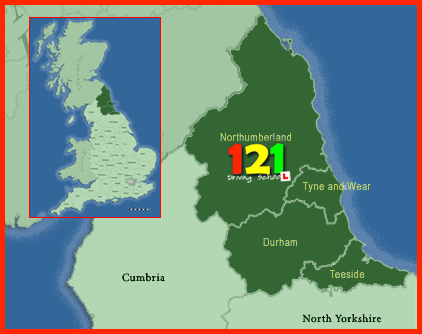 121 Driving School offer Manual & Automatic Tuition within Northumberland, North Tyneside and Newcastle.